Designed by the acclaimed comics creator and pop-culture raconteur GERARD WAY comes this perfectly creepy Arkham Asylum escapee, THE JOKER. Painstakingly brought to three dimensions by master sculptor Jonathan Mathews, this 7’ statue is limited to just 5,000 pieces and includes the trademark BATMAN BLACK & WHITE symbol base. 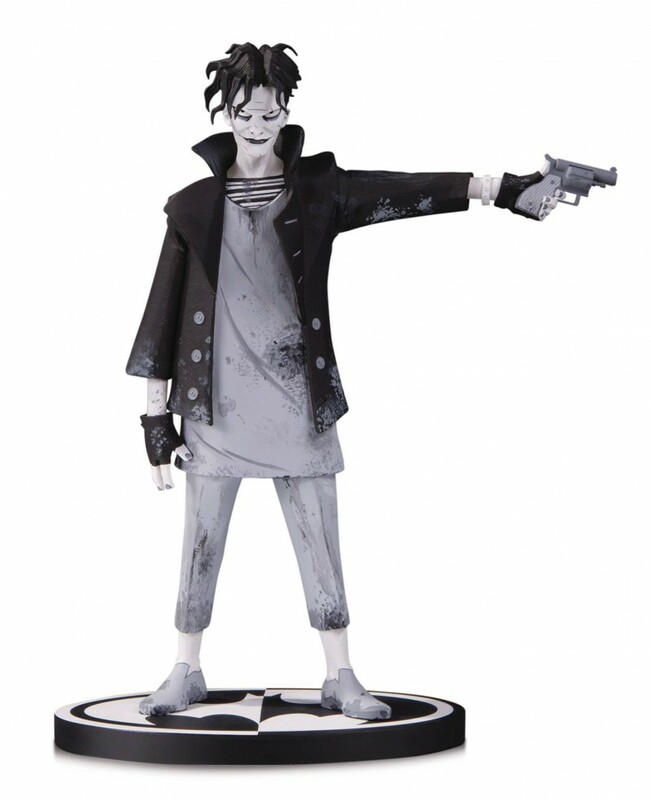 BATMAN BLACK & WHITE statues are based on art from the comics industry’s top creators and re-create their vision of the world’s greatest detective in vivid 3-D detail.